Jaguar Land Rover Albuquerque is honored to present a wonderful example of pure vehicle design... this 2018 Land Rover Discovery Sport SE AWD only has 8,920mi on it and could potentially be the vehicle of your dreams! This Land Rover includes: WHEELS: 18 9 SPOKE ALLOY (STYLE 109) FUJI WHITE NAVIGATION SYSTEM (TOUCH) EBONY/EBONY, PARTIAL LEATHER SEAT TRIM *Note - For third party subscriptions or services, please contact the dealer for more information. * Drive home in your new pre-owned vehicle with the knowledge you're fully backed by the CARFAX Buyback Guarantee. We at Jaguar Land Rover Albuquerque are very meticulous. This hand-selected Certified Pre-Owned vehicle has surpassed our own standards and requirements. This versatile SUV is perfect for families or contractors with its oversized cargo area, exceptional horsepower and option upgrades. At home in the country and in the city, this 2018 4WD Land Rover Discovery Sport SE AWD has been wonderfully refined to handle any occasion. Smooth steering, superior acceleration and a supple ride are just a few of its qualities. This outstanding example of a 2018 Land Rover Discovery Sport AWD SE is offered by Jaguar Land Rover Albuquerque . This Land Rover includes: WHEELS: 18 9 SPOKE ALLOY (STYLE 109) PROTECTION PACK Floor Mats LOADSPACE COVER CONVENIENCE PACKAGE CLIMATE COMFORT PACKAGE VISION ASSIST PACKAGE NAVIGATION SYSTEM (TOUCH) BLIND SPOT MONITOR W/CLOSING VEHICLE SENSING BLACK DESIGN PACKAGE EBONY/EBONY, PARTIAL LEATHER SEAT TRIM YULONG WHITE METALLIC INCONTROL APPS GREY CONTRAST ROOF *Note - For third party subscriptions or services, please contact the dealer for more information. * Drive home in your new pre-owned vehicle with the knowledge you're fully backed by the CARFAX Buyback Guarantee. This Certified 2018 Land Rover Discovery Sport AWD SE is a brilliant example of quality meets reliability. This vehicle has been thoroughly inspected and has an assured quality that you won't find with other vehicles. Do so much more with one vehicle. This Land Rover Discovery Sport AWD gives you everything you need an automobile to be. Do you encounter heavy snow, rain or mud when driving? No problem. With this vehicle, you've got the power of 4WD to help you overcome the toughest terrain. 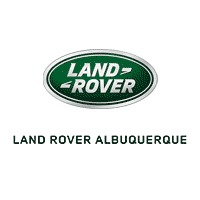 This 2018 Land Rover Range Rover Evoque SE is offered to you for sale by Jaguar Land Rover Albuquerque . This Land Rover includes: WHEELS: 18 5-SPLIT-SPOKE ALLOY W/SPARKLE FINISH SIRIUSXM SATELLITE RADIO FUJI WHITE PROTECTION PACK CHROME WHEEL LOCK PACK ALMOND/ALMOND, GRAINED LEATHER SEAT TRIM *Note - For third party subscriptions or services, please contact the dealer for more information. * Your buying risks are reduced thanks to a CARFAX BuyBack Guarantee. Certified Pre-Owned means certified peace of mind. The Land Rover Range Rover Evoque SE offers a fair amount of utility thanks to its advanced features and unique styling. It's also quite sporty, and injects an ample amount of handling chutzpah into the ridin'-high body of a family-friendly SUV. Quality and prestige abound with this Land Rover Range Rover Evoque. This Land Rover Range Rover Evoque SE comes equipped with 4 wheel drive, which means no limitations as to how or where you can drive. Different terrains and varying weather conditions will have no effect as to how this vehicle performs. This outstanding example of a 2018 Land Rover Range Rover Evoque SE is offered by Jaguar Land Rover Albuquerque . This Land Rover includes: WHEELS: 18 5-SPLIT-SPOKE ALLOY W/SPARKLE FINISH SIRIUSXM SATELLITE RADIO FIRENZE RED METALLIC PROTECTION PACK CHROME WHEEL LOCK PACK ALMOND/ALMOND, GRAINED LEATHER SEAT TRIM COLD CLIMATE CONVENIENCE PACKAGE *Note - For third party subscriptions or services, please contact the dealer for more information. * This 2018 Land Rover Range Rover Evoque comes with a CARFAX Buyback Guarantee, which means you can buy with certainty. This vehicle has met or exceed our standards of excellence and is being sold as a Certified Pre-owned Land Rover Range Rover Evoque. On almost any road condition, this Land Rover Range Rover Evoque SE offers solid performance, reliability, and comfort. Opulent refinements married with exceptional engineering make this the kind of car you'll want to own for a lifetime. Handle any terrain with ease thanks to this grippy 4WD. Whether you're on a slick pavement or exploring the back country, you'll be able to do it with confidence. This 2018 Land Rover Range Rover Evoque SE is proudly offered by Jaguar Land Rover Albuquerque This Land Rover includes: CIRRUS/CIRRUS, GRAINED LEATHER SEAT TRIM CORRIS GRAY METALLIC SIRIUSXM SATELLITE RADIO PROTECTION PACK COLD CLIMATE CONVENIENCE PACKAGE *Note - For third party subscriptions or services, please contact the dealer for more information. * This 2018 Land Rover Range Rover Evoque comes with a CARFAX Buyback Guarantee, which means you can buy with certainty. Do so much more with one vehicle. This Land Rover Range Rover Evoque gives you everything you need an automobile to be. Indulge yourself with one of the most highly crafted, most luxurious automobiles available today. When Land Rover created this vehicle with 4 wheel drive, they immediately enhanced the performance ability. Easily switch between two and four wheel drive to take advantage of the improved steering and superior acceleration.